Strong management and leadership competencies are critical to resilient and responsive health systems, especially in low-and middle-income country settings, which are often characterised by resource scarcities and recurrent crises. The need for strong leadership does not only apply to high-level managers, but to actors at all levels of the health system including those responsible for managing primary health care facilities and district services. 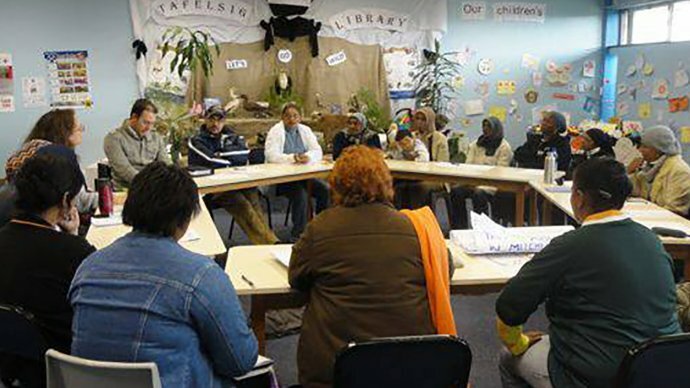 Over 5 years, researchers, sub-district managers and primary health care facility managers worked together to better understand leadership and management in a particular setting within the City of Cape Town. Together they developed several interventions that aimed to develiop relational leadership - a style of leadership that focuses on strengthening relationships between actors. This brief describes these interventions and analyses the impact they had on leadership. It also provides recommendations for policymakers and gealth managers for improving relational leadership in primary health care settings. Strengthening health system leadership for better governance: what does it take?